Thrilled to announce our winning participation to the 2015 edition of the The Face Award, contest which recognise some of the best portraits. We are happy to be included in this selection. The “Watchmakers” series about some of the people behind some of the greatest luxury watches was realised for the magazine Tiempo de Relojes. Having the opportunity to portrait such interesting people was a revealing experience. Besides the short time allowed to photographs, the flexibility and trust from the editorial staff helped greatly in producing intimate portraits. Definitively worth checking the other winning images at www.facesphotocontest.com. 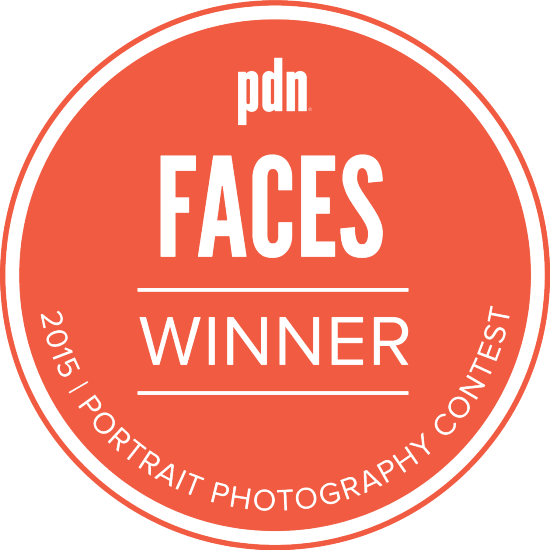 Congratulations to the winners of the 2015 FACES portrait photography contest. We received entries from professional and amateur photographers from all over the world, showing off their favorite animal faces, kids’faces, famous faces and more. Grand-prize winners Eric Ray Davidson and Omri Bouton will receive cash prizes of $2,000 and $1,500, respectively, $500 to Adorama, and more. Look out for both photographers to be featured in the next issue of PDN, and see the extended online gallery at www.facesphotocontest.com. Mia Tramz is the multimedia editor at TIME.com, where she pivots between editing both still photography and video and developing interactive projects online. She helps oversee the TIME.com photo team’s breaking news coverage, and she is also a contributor to TIME LightBox. Mia joined TIME.com as an associate photo editor in 2013 and previously held internships at Magnum Photos and Vanity Fair. She is a graduate of Columbia University. Ilona Siller has more than ten years of experience in advertising and is currently an art producer at BBDO New York. She has produced for clients such as Belvedere, Dubai Tourism, J&J and The Art of Shaving, among many others. She has had the privilege of working with photography greats like Nadav Kander, Mark Seliger and Ellen von Unwerth. Ilona is passionate about her craft and devoted to discovering new talent. Mark Haddad is a photo editor for Men’s Health, where he has worked for more than 12 years. Haddad previously worked at Sherpa Products after “jumping ship” from the recording industry. He says he is a New Yorker “by choice” but has roots in New England. Shanti Marlar is the creative director of The Hollywood Reporter and Billboard, where she oversees the design of the weekly print publications as well as the digital properties. She led the redesign and relaunch of The Hollywood Reporter five years ago. Marlar graduated from Parsons The New School for Design and started her design career at TIME. She went on to work at Us Weekly, Sterling Brands, MVBMS and The New York Post. Diana Suryakusuma is a photo editor at Bloomberg Businessweek. She joined Businessweek in 2010 and was part of the creative team that relaunched the publication with its distinctive visual style. She has since helped the publication win numerous awards from American Photography, SPD and POYi. She began her career at TIME, where she worked on Person of the Year, the TIME 100, and the coverage of the 2008 presidential campaign. She has been an annual reviewer at the Eddie Adams Workshop since 2010. Andrea Volbrecht, Director of Photography, MAXIM Inc.